Hello Packer fans! This off-season has had many different changes for our Packers. Players on the team, changes in the coaching staff & changes in the personnel department. It is that time of year for the Northwest Packer Backers Annual Picnic! On Saturday, July 28th starting at 12:00 pm at Lake Samammish State Park. (Click link for map). Just look for our Northwest Packer Backers banner! Come join us for an old fashioned Wisconsin style Picnic! Please bring your dish to share, some meat to cook as we like to do our picnics Wisconsin style and have a great potluck!! (As most of you already know) BYOD! (Bring your own drink) The club does provide the charcoal, utensils, plates, cups, silverware, napkins and condiments. 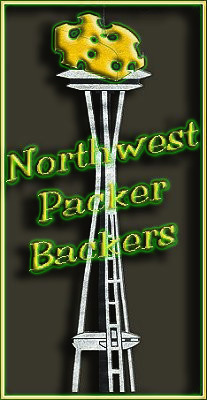 The Northwest Packer Backers are in our 28th year here in the Pacific Northwest! Let’s kick off the 2018 NWPB season strong and see you all at the picnic. With Aaron back and better players on defense, we look forward to another great season by our Packers and training camp begins on Thursday, July 26th, let the discussions begin! For all of you who are looking forward to the preseason, ALL preseason games will be shown LIVE at the Mustard Seed Pub and Grill. If anyone has any questions, please email us!